The Original recipe. 17g protein. Low carb. Fat free. High in protein. With no added sugar - contains naturally occurring sugars. 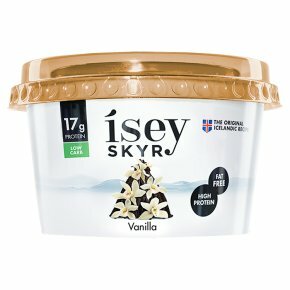 With sweeteners.Skyr is a cultured and concentrated dairy product, made from pasteurized skim milk.